In this Post, I have mentioned how to configure SCCM 2012 Backup and send the Status Report via Email. FYI – By default, Backup Site Maintenance task backs up the site database and specific registry keys, and specific folders for a site. 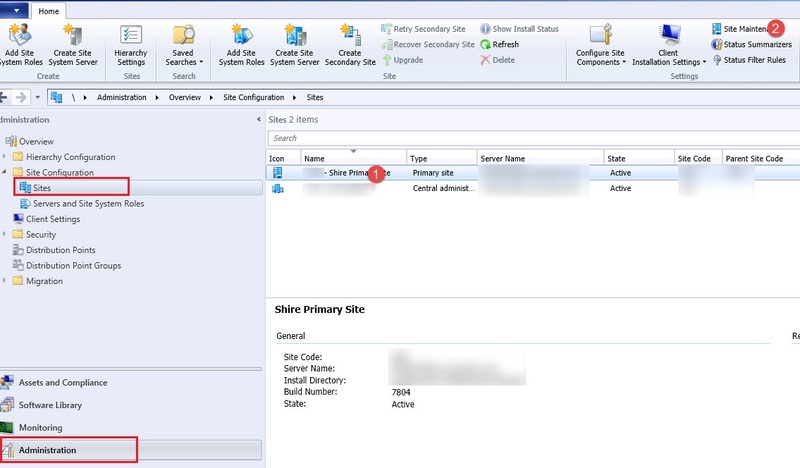 To Enable Site Backup configuration in SCCM console. 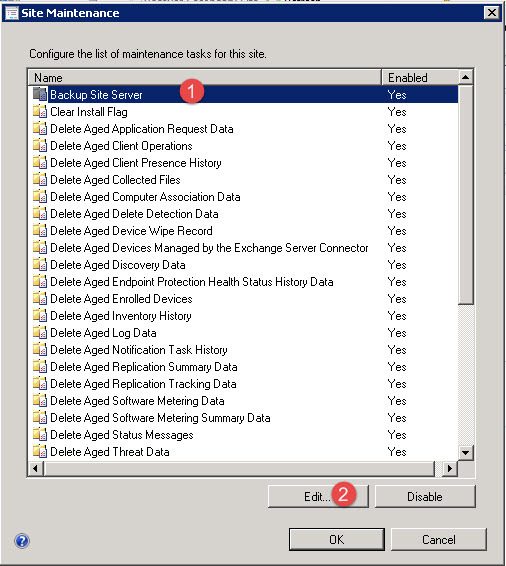 Click Administration Workspace -> Site Configuration -> Sites and select the Site which you need to configure Backup task.On the HOME tab, Select Site Maintenance. 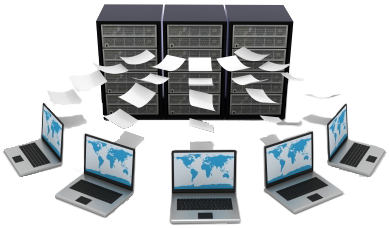 In the Site Maintenance Wizard, Select Backup Site Server and Click Edit. 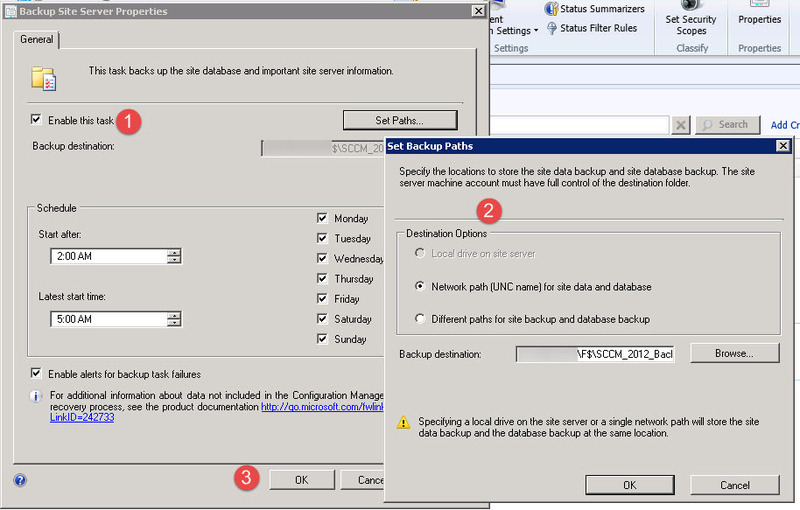 Select Enable this task and then you need to choose the destination path to store the backup files and Click OK.
Configure the schedule as per your requirement and click OK.
Once the Site Backup task runs successfully on the defined schedule, You can see the backed up files under F:\SCCM_2012_Backup\Daily\Backup. After the backing up the site, the Backup Site Server task automatically attempts to run a file that is named AfterBackup.bat which is located under <ConfigMgrInstallationFolder>\Inboxes\Smsbkup and this bat file achieves a backup snapshot. Note : You need to manually create AfterBackup.bat in the above location. 3. Configure the schedule task on Windows Server by targeting the vbs file to get the backup status on everyday. 4. 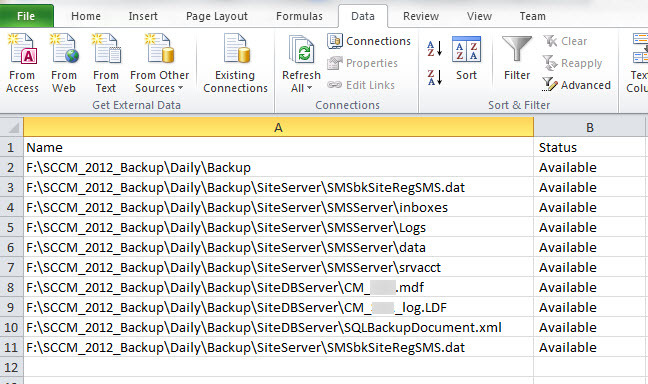 You will get an email with Site Backup Status report in the attachment looks like below.